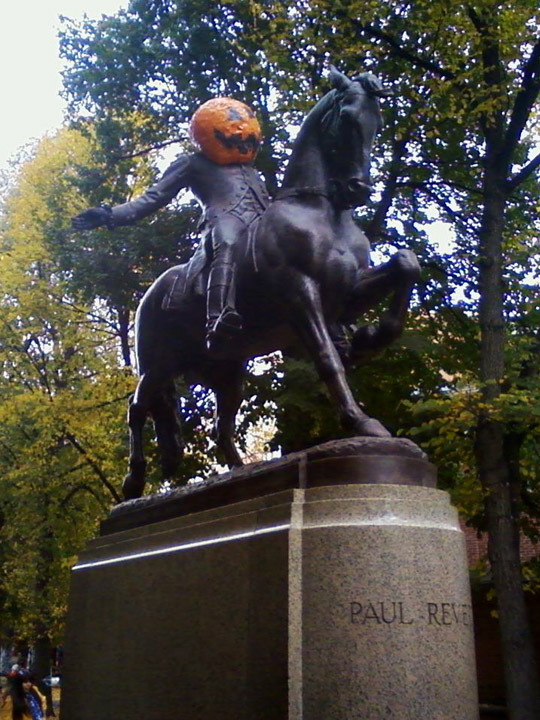 Even the monuments get dressed up for Halloween in Boston! This is the Paul Revere statue from the North End of Boston commemorating his famous “Midnight Ride”. It looks like he’s dress up as the Headless Horseman from the Legend of Sleepy Hallow. Very scary! Hopefully you’ve been following Banksy’s month long residency and outdoor exhibit in New York City this month. Without even touching the somewhat provocative messages of this pieces, there is something really fun about this style of guerrilla street art. I wish I could be hunting his new pieces each morning! I love the thrill of discovery and that moment of personal appreciation and enjoyment in front of clandestine art. There is no gallery, no reviews of the show and no artist to hear your praise (or criticism). Street artists create art out of their own creative need and to hopefully make us think as we pass their work. 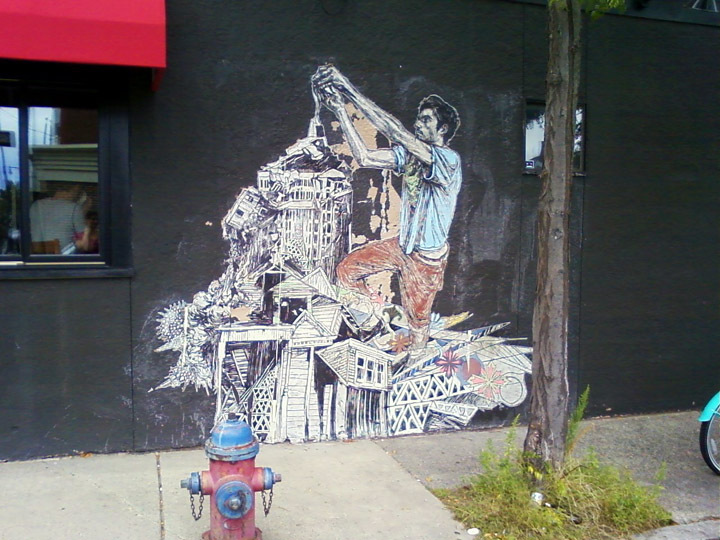 I certainly appreciate street art and think it improves our urban areas. 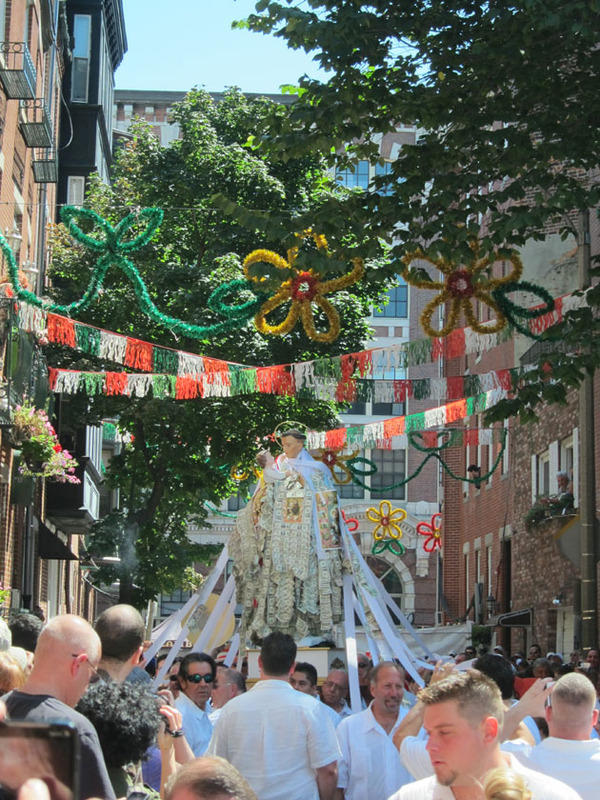 St. Anthony processing through the decorated festival streets of the North End, Boston. The restaurant I’m recommending for “Best Brunch in Boston” actually has only average to above average food. 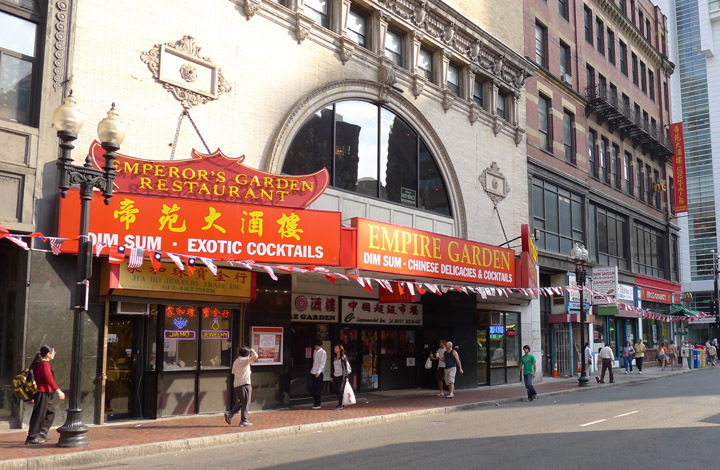 The dim sum at Empire Garden is good and certainly satisfying, but I really want you to go there because of the unbelievably beautiful and historic dining room. I ventured to down to Copley Square in Boston this Saturday. An avid fan and patron of the Library, I’m usually down every other weekend, but following the Marathon bombings, I haven’t been able to go. With a cautious reverence, I went to the now very familiar bombing locations. I expected to see two holes in the sidewalk, extensive damage to the buildings, or something to mark the horror of April 15th, but there was nearly nothing. 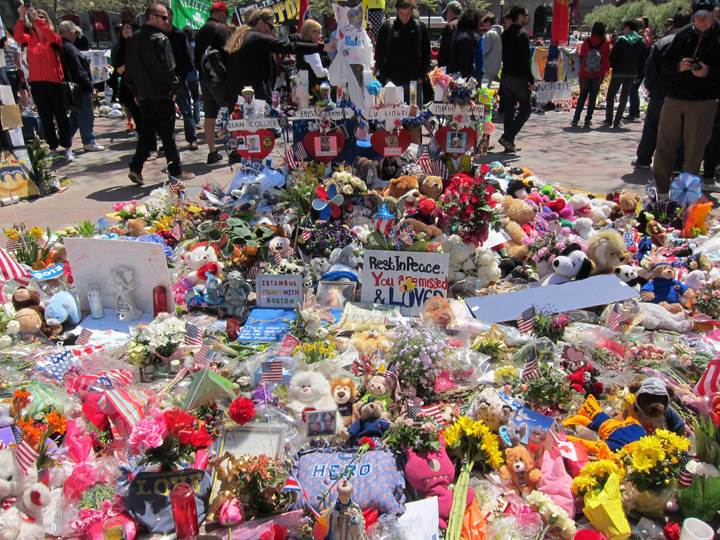 Its true, Boston is in fact strong and cleans up well, but it felt eerily empty considering how many lives were changed along this street just a few weeks ago. Not far away in Copley Square, a large “U”of police barricades and park benches had been transformed into a make-shift bombing memorial.